Half a lifetime ago my graduate minor was anthropology with a smattering of archaeology. 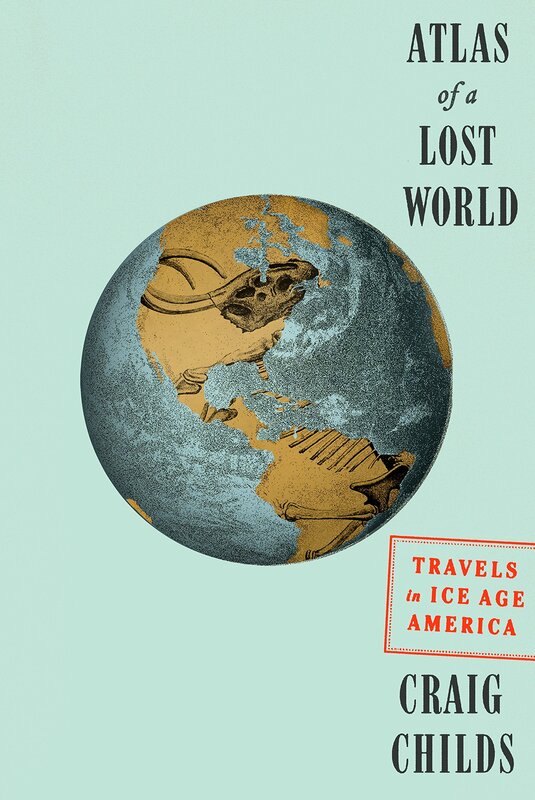 It was so long ago that none of the giants whose works I read and studied are even mentioned in Craig Childs’ magnificent Atlas of a Lost World. Intellectual time in those fields has passed by me, yet I am still enthralled by the skill and scope of Childs’ accessible narrative. By combining personal experiences with related research that supports his scholarly speculations, he is able to situate his readers amidst the “lost” world of the Paleolithic Era. The scenarios he develops are highly informed conjectures, and are based on extensive research by a host of scholarly dirt diggers and cultural imaginers. Childs has a unique ability to figuratively “flesh” out the bare bones of their discoveries and make them understandable in common terms. For example, he notes that 25,000 years ago “people began to arrive in North America into the teeth of Ice Age megafauna.” Think of that period as 250 lifetimes of about one hundred years each and the number becomes more comprehensible. According to scholar Carl Bergmann, Ice Age animals were large, and there was a correlation between size and temperature (cold and large, warm and small). Only large animals like mastodons, sloths and bisons could generate the body heat for self-preservation and survive the unremitting cold. Ultimately, these large animals provided food to nourish the First People, who were hunters. The protein of their kills still clings to some of their spear points. It is important to note a couple of things about the people who came through Beringia. They were very much like us today: they spoke and reasoned, and they named new things, like crevasses, for example. And, they did not stop. They kept moving down and across the North American continent and continued to spread as far south as one could go. Perhaps they followed animal migration routes as the earth warmed, yet, generation after generation, they moved inexorably forward, leaving bare traces of their existence. Archaeologists scrape their detritus from the earth and each little discovery moves our knowledge forward as we learn more about our early relationship with nature. There is so much here, so much to be learned, that one cannot simply plow ahead and comprehend all that Childs reveals. It is better to bite off small chunks to savor and internalize that newfound knowledge. This, in turn, will create a platform from which the next experience may grow. 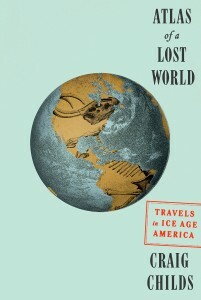 Atlas of a Lost World is not a solemn academic tome, but one enlivened by fine writing and personal accounts of Childs’ varied research. It is a very human story. Craig Childs combines scholarly research with personal accounts to create an accessible narrative of the “lost” Paleolithic Era.